Levitate Web Design has specialized in building responsive websites for years. At Levitate Web Design, we believe that people should stick to what they are great at; and we are great at building first class websites, but we wanted to expand our services. 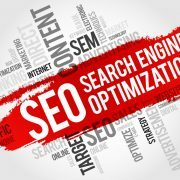 SEO or Search Engine Optimization, is the strategic work involved in having your business website rank well on all of the major search engines such as Google. Although many web designers claim to “include SEO” in their web designs, we have come to find out that proper SEO, with real real results, takes a special skill set. 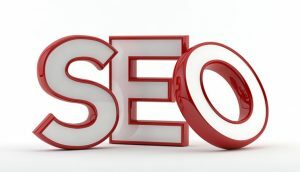 Truth is….Search Engine Optimization is NOT a one time thing. It is not a button that you press—and now have SEO. If you really want your website to rank, even for the easiest of keywords, that requires a true SEO specialist and takes a minimum of six months and usually one year or longer. After the first year, your monthly SEO fees should be reduced as it is much easier to keep your current rankings than it is to move up. Are you interested to see how your real estate website ranks for SEO? You can’t just Google it from your own computer. But you can get started by running a report that gives in-depth information on how good the SEO is on your site. You can use the Moz toolbar, which is free, or take a 14 day trial with SEMrush — which is a full blown SEO system that has every marketing tool you need. If SEMrush is a little overload, just drop it before the 14 days is up ad get a full refund. We have found that real estate websites require even more effort to properly rank on page one of Google than most business sites. This holds true for a variety of reasons. Many of the real estate websites that are built for the masses don’t even get indexed much less rank for any major keywords. Almost every real estate agent and broker has a website. According to the National Association of REALTORS, there is over 1 million real estate agents in the US. Every single real estate website wants to rank for a very similar set of keywords such as ******* real estate or ***** homes for sale. Almost every major metropolitan real estate market has thousands of real estate websites all fighting to be on page 1 of Google. Unfortunately, only 10 sites are going to fit there. If you want to rank for a major real estate search term, its going to take a high level of expertise in SEO for real estate. There are a handful of major real estate portals, with almost unlimited funds, that have a tremendous focus on real estate search engine optimization. These sites like: Zillow, Realtor.com, Trulia and Homes.com consistently rank on page one of Google for just about every search term, for every city. Many Realtors, to catch the low hanging fruit, will attempt to rank for longer tail keywords that the large portals dont go after. This substantially reduces the number of spots on page one that you may fit into. Now you have reduced your target for success from 10 to 5 or 6. Then you have to also compete with the major real estate franchises such as Remax, Century 21, Keller Williams and Coldwell Banker. Depending on the size of the local franchises and local market share, you could see any (or all) of these on page one of Google. Even some of the more progressive independent real estate brokers may have a dominate hold on the local SERPS. You may have noticed that real estate websites have a large focus on real estate listings. These are provided by the local MLS and ultimately get displayed on every real estate site in the local market. Because duplicate content is a major issue with real estate SEO, this can create an additional level of complexity to ranking your real estate website. They How Do We Rank Your Real Estate Website? We have partnered with one of the most recognized names in real estate SEO in the country to rank the websites that we build for our real estate agents and brokers. We have chosen to not cut any corners in providing on the best in real estate SEO for our clients. In addition, because of our size, we were able to negotiate a great deal, so our clients get great results and the most affordable prices. Upon reviewing our list, we are still BIG fans of all of the below plugins. We did made an update to the Visual Composer review below. In addition, we have added a couple to the bottom of the list. Seems like everyone and their brother has a favorite list of “Must Have” WordPress plugins. 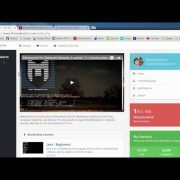 For anyone that builds a lot of websites on the WordPress platform, you find that you use many of the same plugins over and over and over time, cant live without them. We do quite a bit of real estate SEO and website design, so some of these plugins are SEO related. 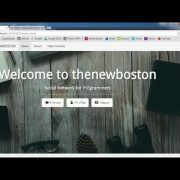 One Feed Supercharger – One Feed Supercharger is an awesome plugin, built by the SEO gurus over at Network Empire, that maximizes the use of RSS feeds. Anyone with a website wants their site to be found by the major search engines and using RSS feeds can be very valuable. WordPress does automatically create an RSS feed for you, but One Feed provides some super cool features. First, you can create an unlimited number of RSS feeds containing a variety of information. I use One Feed Supercharger on every site I manage. Here is a video showing how powerful it is. Yoast SEO – Yoast SEO is one of the most popular SEO plugins on the market and for good reason. It provides a plethora of SEO tools absolutely free. Not only can you easily adjust your meta title and description, but Yoast SEO provides site analysis, XML sitemap configuration, the ability to edit your robot.txt and .htaccess files all coupled with an easy to use interface. They also provide many paid options for specific purposes. Formidable Forms – Yep, you guessed it, Formidable Forms is a forms plugin. I used to use Contact Form 7 quite regularly, but after finding Formidable, I haven’t looked back. I have opted for the paid version since I use some of the more advanced features, but the free version is powerful and easy enough for most people. Visual Composer – Visual Composer is a page builder that lets you build out an entire website without coding. It comes with many visually appealing features that can be easily incorporated into just about any website. It has both a front end and a back end editor which lets you see the final product as you are building it. They provide a variety of add-ons for Visual Composer, I personally use the “Ultimate Ad-ons for Visual Composer” as it includes many premium elements like Icon, Info Box, Interactive Banner, Flip Box and a lot more. One downfall is that Visual Composer can slow down your website load times if you go crazy with it, so be careful. Social Media Feather – Social Media Feather easily adds social media share and follow icons to any WordPress website. Although that in itself is not very unique, it does so with a small footprint and doesn’t slow your website down. It has a ton of options such as choosing your sharing prefix and postfix, customize-able icon sizes and placements and interfaces with just about every platform. Revolution Slider – If you want an endless level of customization for your slider, Revolution Slider is your best bet. There are other solid slider programs out there, but I have found that Revolution Slider simply has all of the options I am looking for. Rumor has it that they had some security issues some time back but that is all resolved now. AMP & Glue OR Facebook Instant Articles & Google AMP Pages by PageFrog– Im still in the early stages of testing these out — so I thought I would mention them all. With Google having a push for AMP pages (Accelerated Mobile Pages) if you have any interest in ranking your site, you will want to implement AMP pages/posts on your site. One option is to use BOTH AMP and Glue for Yoast SEO. These two plugins work together to create AMP pages for all of your blog posts automatically. 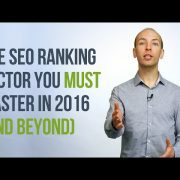 Needless to say, you will need to be using Yoast SEO to take this route. One of the downfalls of this combo set is that it only creates AMP pages for your blog posts and not your pages. They say the pages support is in the works. The other option is Facebook Instant Articles & Google AMP Pages by PageFrog – I have found this little gem and seem to like it quite a bit. It gives a preview of the AMP page and even supports Instant Articles for Facebook. Although this little plugin is not necessarily a Must Have — for what we do over here in building and marketing real estate broker websites, we have found this plugin indispensable. That is the RSS Includes Pages plugin. You can download it FOR FREE — straight from the WP repository. It does exactly what it says it does — it adds ALL of your pages on your WordPress site into the RSS feed (which usually only has posts). 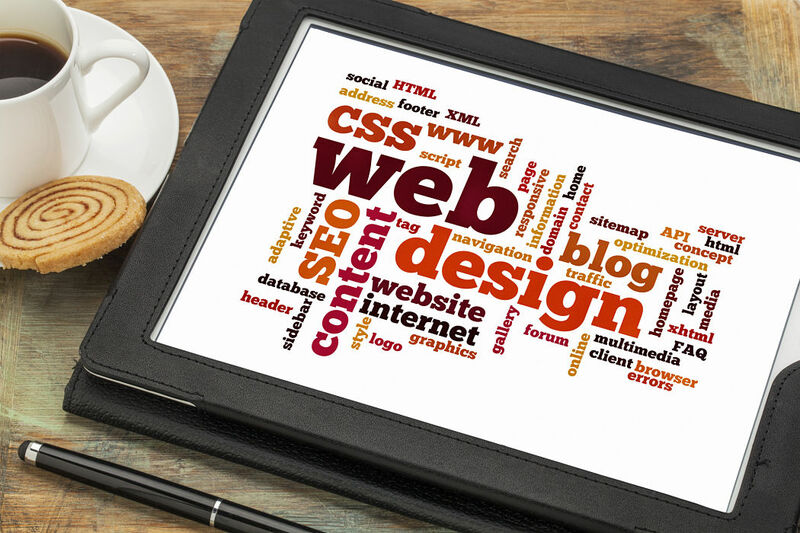 For most businesses, a web site is one of the most important investments you can make. Entrepreneurs are either overspending or underspending on their web sites, and many have no idea what they’re doing or why. Even if you’re primarily brick and mortar, having a solid web site can mean extra business. Local clientele often perform searches online and find your web site, encouraging them to walk into your store. If they find your competitors and they look more reputable or solid than you (or if they have a web site and you don’t), you’ll lose business, just because of your web site. And, when you’re mentioned in the media or on review sites like Yelp or Angie’s List, you’ll need a web site to help people find you. Don’t do your business a disservice by putting up a shoddy web site. Take care and invest wisely in your business web site by hiring someone who knows what they’re doing. Here is a bit more information and statistics about websites and the importance they hold for a business in the present day. You may have the most beautiful and elaborate website on earth, but if no one can find it on the vast internet, it may not as well exist. The art of having your website pull up, for the search terms your clients are using, is called SEO or Search Engine Optimization. Different business verticals have different challenges for SEO. For instance, we have a deep history in real estate search engine optimization, which has always been one of the most challenging verticals for SEO. If we can rank a local real estate broker on page one of Google, going up against monsters in in the industry such as Zillow, Realtor.com and Trulia, we can get your website in front of your customers too. But what if my consumers aren’t online? We get asked this question all the time. For example, sometimes our clients refer to their consumers from an older demographic. We always tell them that they would be surprised at the amount of adults over 50 using the Internet. We’re here to help you be successful. A website is the foundation for a web presence, which is the first step to making your business successful. The task may seem a bit daunting, but we’re here to help guide you through the entire process. Levitate Web Design wants you to be successful, so we work hard to give you all the tools you need.